…And that’s it for 2014! Quinns: And so, like the sun disappearing over the horizon or a Christmas pudding slipping down your uncle’s gullet, Shut Up & Sit Down enters it’s holiday hibernation. I’ll abandon the Christmas pudding analogy when I say that we’ll be returning to the world on January 5th. Eat some fibre, Uncle. It’s been a fantastic year, thanks entirely to the donors who’ve allowed us not just to survive, but grow and plan for the future. Don’t just take my word for it. Behold! A list of the content in 2014 that we’re proudest of, some of which may have slipped you by. Brendan and I made a video documenting our flight on the L.H.S. Bikeshed, a caravan that some ingenious Londoners had converted into the world’s most awesome spaceship simulator. It was the most perfectly SU&SD start to the year, being simultaneously silly and not at all a joke. I still love Tash-Kalar, and I still love Paul and my Tash-Kalar review. Nothing like a bit of fourth-wall breaking, inter-dimensional hopping, ketchup-smeared post-modern criticism to make you forget where this sentence was going in the first place. Jacob Tierney’s article on Risk Legacy was to be the first of our articles this year that would make me cry. As it should be, Leigh’s article on learning Netrunner is the most widely trafficked piece we posted all year. Honest, incisive, sad, triumphant and less about Netrunner than it is about life. That’s ok, I suppose. It was our review of Hey, That’s My Fish! that made us realise how terrifying it is when Brendan and Paul write together. “Beaks” indeed. 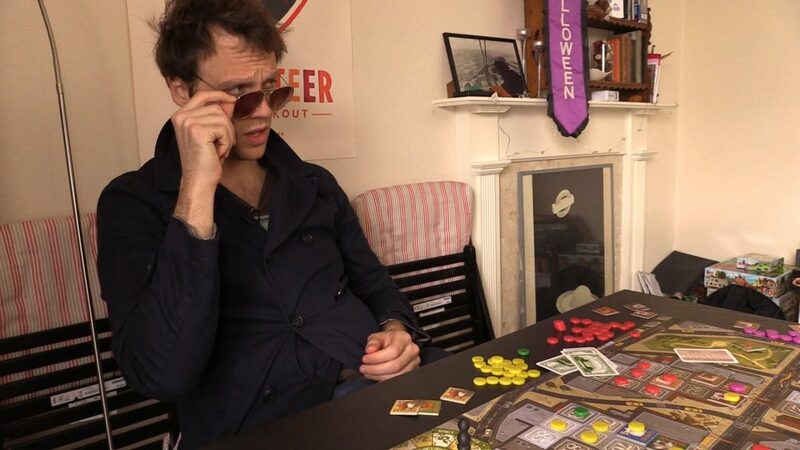 While making an internet video about how to teach the rules of board games might be the nerdiest thing I’ve ever done, it’s the piece this year that the most people have thanked me for. 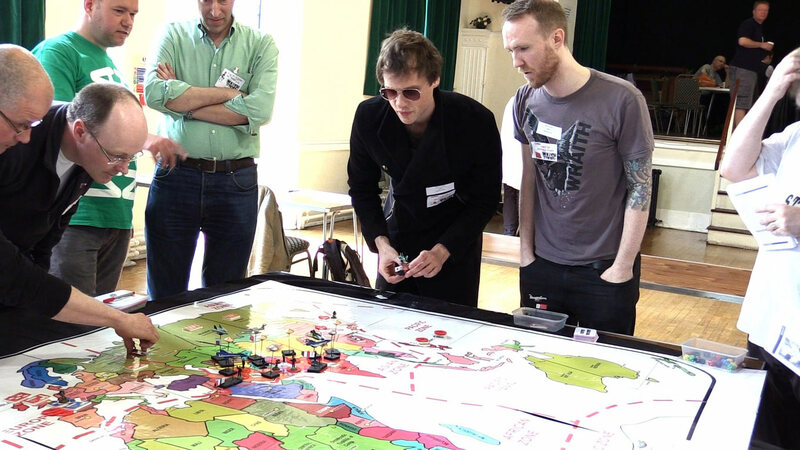 We played a Megagame! Jeez, what is there to say about that. Watch it if you haven’t already, then listen to the podcast where we discussed it. Soon after the Megagame Leigh, Paul and myself took part in a month-long watergun assassination game, and what a psychologically exhausting month that was. Here’s our podcast discussing the game, and here’s Leigh’s piece on her month as London’s most moist assassin. Jaipur is probably the game we reviewed and loved this year but that we talked about the least. It’s really great! Honest! The 35 minute, special-effect packed Second Sci-Fi Special happened! 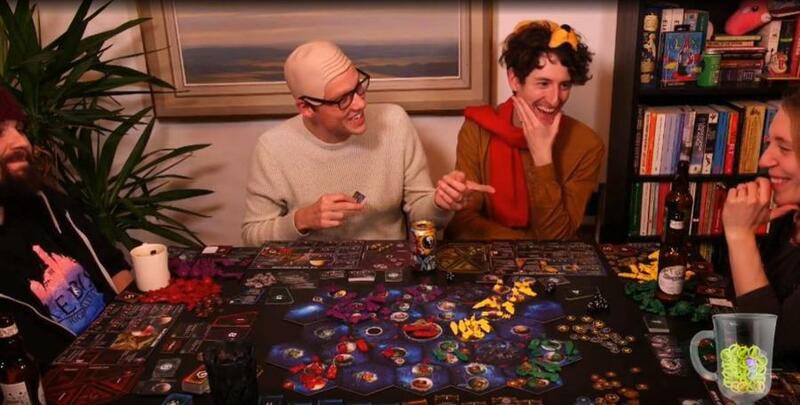 Ft. Paul and Quinns battling Reiner Knizia on Mars, and definitely not just Matt in a wig. Continuing SU&SD’s defining trait of being crap in space, we diarised some sessions of Fantasy Flight’s new Star Wars RPG. I loved my time as the universe’s saddest droid. Our review of the X-Wing Miniatures Game is my favourite review we did, I think. I’m really glad we got the chance to review Pitchcar in the same month, though. Agree with me, friends, that miniature vehicles driving around your table are one of the all time top things. Brendan’s Correct Way to Scratch, of course. When I asked for your favourite gaming moment, you guys responded by creating a glittering cathedral to board gaming in the comments. Going to Gen Con in 2014 was absolutely astonishing. 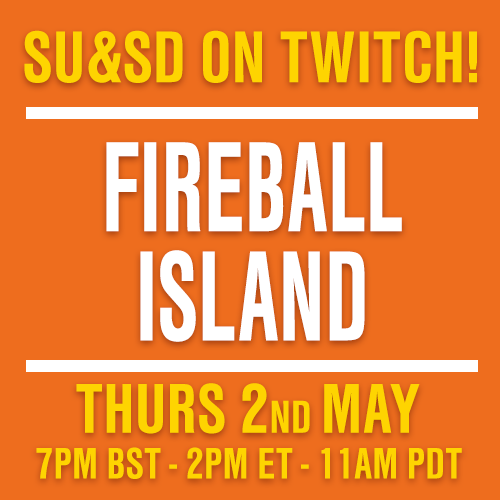 The sound of the crowd in our live podcast at 05:22 is something that collectively, team SU&SD is still trying to process. I’m so happy we at least managed to do justice to how mad the trip was with THE VERY PROFESSONAL GEN CON SPECIAL, as well as express how touching it was with Paul’s thank you note. Pip and Brendan’s review of Dog Eat Dog is yet another article I feel proud to have published, and has led to a lot of really interesting discussion. Sean Bean Quest. Worth listening to for just the part where Paul strips off his shirt and dives through a window. Of course, we’re all thrilled about how our Top 25 Games of All Time came together. …And then there’s all the rest! The crazy thing, though, is that this is all because of you guys. If you’ve ever donated to us, or you continue to donate to us, you should feel proud that you helped to create all of this fantastic content. We literally couldn’t have done it without you. This feels (to us) like how the internet’s meant to work.